The event centred on Old Billingsgate Market and Excel Centre. Two thousand delegates spent the day in conference at Excel Centre, and then transferred in forty five coaches to Old Billingsgate Market for an evening banquet. VIP and board members were based at Four Seasons Hotel by Old Billingsgate and had a fleet of cars and MPVs permanently at their disposal. Old Billingsgate can only have one coach at any one time directly outside the venue. This is due to being on a red route. Showpax devised a system with extremely tight space restrictions to ensure that all forty coaches were able to operate a shuttle service back to Excel hotels over a two hour period. I wanted to say THANK YOU so much to you, Chris, Ashley and everyone else for making my job so easy this week. As you know I was very nervous about the coaches on Tuesday night, especially with things at OB being so awkward but it was flawless and worked like a dream. The client made special mention about the transport on Tuesday night and kept telling our team how awesome it all was so thank you. 1200 Sainsbury and Argos delegates took over the Butlins camp at Bognor Regis. Transfers were all undertaken by Showpax coordinated cars & coaches. For arrivals the groups and individuals were collected from various airports and stations including Euston & Kings Cross. All were met by friendly Showpax staff and escorted to the respective vehicles. Departures all took place from a suitable location within the camp. You were fabulous and all transfers were amazing! Thanks for your amazing attention to detail and for your care. October 2016 & May 2017 saw one of the world’s largest law firms hold 2 conferences at the Hilton Metropole, London. 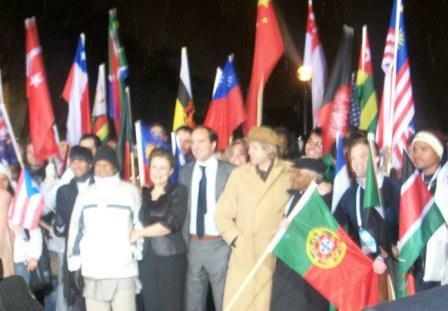 Over 800 delegates attended each event, arriving from all over the planet. Showpax managed and coordinated all delegate movement. Arrivals into all London airports were met by our ‘meet and greet’ team, transported by our smartly dressed, punctual, flexible team of chauffeurs. An ever-changing schedule, due to ad-hoc meetings, was consistently fulfilled. Both events included several large group outings, including guided tours on old London Routemasters Busses. The organisers of the event and indeed the end client have expressed their gratitude for the attention to detail and level of performance delivered by the Showpax team. Showpax devised cluster and pick up points based on store postcodes and provided 31 coaches from all around the country to bring delegates into Minehead. 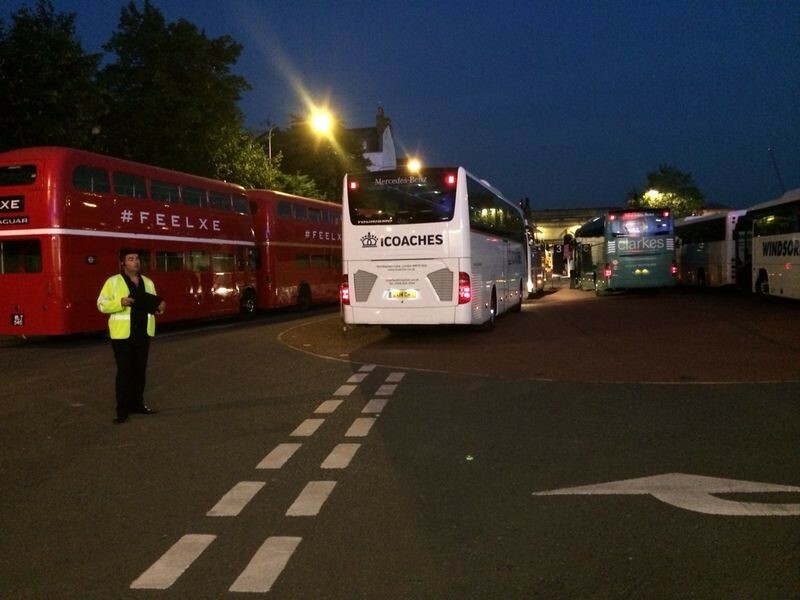 There were other coaches covering local airport and rail transfers. All distant coaches were given trackers to enable Showpax and the client to monitor their progress into the event. The departures were staggered over a two hour period and were supervised by Showpax staff. 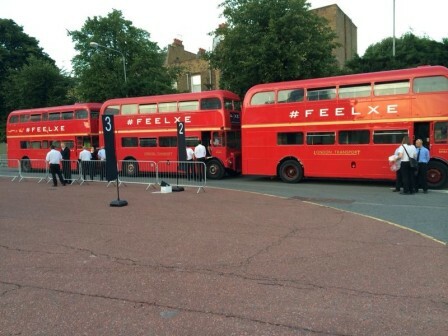 Earls Court, 8th September 2014 saw the long awaited launch of the New Jaguar XE. International press, government officials, worldwide dealers and ‘A list’ celebrities were invited to the spectacular red carpet event. Showpax’s role was to ensure they all got there on time. The 3000+ delegates were stopping at 34 exclusive central London hotels and all had to arrive Earls Court, a notoriously difficult and tight venue, within a 45 minute window, in rush hour. The returns also had to be swift and efficient, Showpax devised a system that incorporated 14 pick-up points and routes for multiple hotel drop-offs, thus ensuring all guests were returned to their hotels a quickly as possible. Delegates were met at the various London airports and transferred in Jaguars, executive people movers. Movements on launch night were undertaken in executive coaches and old red Routemaster London buses. There was also an extended programme of events, which saw several groups of overseas delegates visit various locations around the Country. This was an ever-changing and demanding schedule, Showpax’s flexible approach ensured all requirements and timings were met. Overall this event consisted of over 500 Car & MPV transfers and close to 200 coach movements, and was deemed by all (including our clients) to be a very successful venture. I hope you have now managed to got some rest? It was certainly a whirlwind over the last few weeks, but I am pleased to say we have come through this, and delivered an excellent event. Thank you all so much for your dedication and hard work over the past weeks. It's been amazing to work with a team who are all so passionate, committed and experienced!. We know what a challenge the event was and the deadlines were so incredibly tight. I think you will all agree we nailed it! 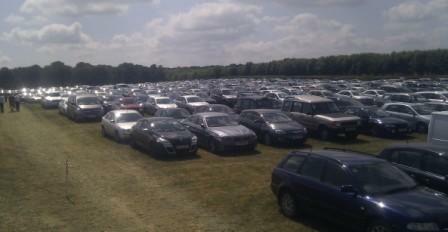 Guests arrived throughout the day at a carefully selected car park that had reserved bays. The guests and their luggage were then shuttled to the hotel in a fleet of executive VW people movers. 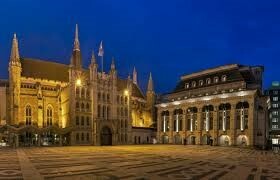 The evening began with the guests being transferred in executive coaches from the hotel to the Guildhall. With very limited space outside of the hotel, Showpax’s experienced team were able to control the coach loading operation from a suitable holding area nearby. All 600 guests were transferred successfully within the specified 30 minute window. For the returns, a continual shuttle service was operated ensuring that nobody experienced a delay in getting back to the hotel. The following day all guests were returned to the car park, once again in the fleet of executive VW people movers. 1000+ Delegates attended a one day conference at the ICC in Birmingham. 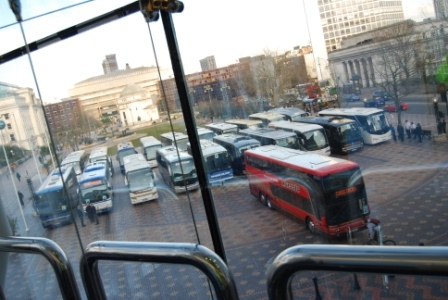 Showpax arranged coaches from all over the country, some doing multiple pick-ups to arrive at the ICC for a set time. Showpax also transferred delegates from local airports. Our structured departure plan enabled a smooth getaway for all that attended, even when the event ended earlier than planned. Happy internal client..Happy Rachy J, Thanks for being so fabulous on the last 2 events, for taking my tourettes on the chin and always delivering what we needed when it was needed. Please pass on my thanks to Keith, and always a pleasure to work with Terry. Until the next one…. 2013 saw Campus Party arrive in the UK, held at the O2 Arena in London. With our reliable network of European suppliers, Showpax sourced and managed the arrival of 50+ coaches from all over Europe within a four hour window. From Bilbao to Bratislava, Lisbon to Leipzig, Siena to Seville and many other locations, the Showpax team provided round the clock support to both those attending and organizing. Our translation service proved invaluable with so many nationalities attending. All departures were also within a small time frame, and all coaches left on time and successfully made their allotted ferry times. Showpax also supplied and managed the car movements for all VIP speakers and guests. This proved to be particularly challenging as the timings were very flexible and constantly changing. Showpax provided transport for the cast members of the Olympic opening and closing ceremonies that had mobility issues. By sourcing suitable vehicles, accrediting drivers and carers, and monitoring all appointments, Showpax were able to ensure that participants with disabilities featuring in the ceremonies were able to do so comfortably. Showpax were also responsible for a range of other tasks for the ceremonies. Initially contracted to manage traffic for up to 8000 members of the cast per day, at the rehearsal space. Our relationship with the organisers blossomed, and we became an integral part of the team, providing stewarding, buggy drivers and other members of staff, resulting in Showpax looking after some of the main performers and assisting in the actual ceremonies. 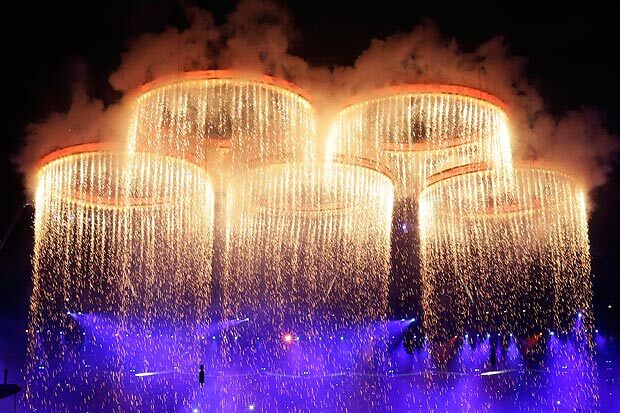 It is hard to believe that we completed 4 Olympic Ceremonies but together we did it ! The journey was a big hill to climb, but as a team of Olympic Champions Showpax reached the top. The past few months have, without doubt, surpassed expectation and you are without exception an extraordinary team. At times, you have been asked to work harder than you have ever worked before, you have been asked to do roles that were not in the original scope of Traffic Management and Marshalling, and on top of that we asked you to work in locations that were both varied and challenging. When we thought you could possibly do no more we have asked you to take on another task, do the job of one more person or we have changed the schedule and asked you to work some extra hours and without question you have all risen to the challenge. I am incredibly proud of what we have achieved together and will remain eternally grateful for your professionalism, support, good humour and friendship. It was an absolute pleasure working with all the staff from ShowPax. Georgina Huxstep, Operations Manager - Transport & Fleet, London 2012 Ceremonies Ltd.
Further to George's testimonial, I would like to add my personal thanks for Showpax once again shining through at London 2012 Ceremonies! You were my recommendation and, having worked with you all for many years on the transport / coaching side and only recently on the traffic marshalling side, you really impressed! Nothing is too much trouble! All your work is carried out with true professionalism and conviction and very importantly for me at least, a sense of humour! I allocated Jamie to a particularly challenging role and he carried it out with such professionalism, efficiency, flexibility and charm it made my life so much easier. I cannot thank him enough. Steve, Chris, Chris and Jamie, I salute you! Thanks Chris, For all your hard work, your proactive approach and basically for helping us with the whole 2012 rehearsal management of people. Truly a pleasure. For the last 10 years Brandfuel have produced a 3 day conference for Google. The event takes place at one of the UK’s premier hotels. A diverse group of Global thought leaders attend the event, discussing the future of technology, culture, politics and the economy. High profile speakers have included Archbishop Desmond Tutu, Boris Johnson, Professor Stephen Hawking, Anthony Joshua and George Osborne as well as other business leaders and industry professionals. Showpax provide airport transfers together with a comprehensive Meet and Greet programme, baggage transfers, and coach transfers between hotels and venues. Each year Showpax manage over 500 executive car airport transfers and over 100 coach transfers. In 2011 the last day of the event was thrown into turmoil by the Icelandic volcano eruption. Showpax handled 164 delegates changing flights and transfer times to combat the dreaded volcanic ash cloud that had closed various airports. In 2011 Showpax provided 35 coaches to transport Sky employees to and from their annual weekend festival in Edinburgh. Following the success of this operation Showpax were awarded the traffic management as well as the coach operation in 2012. The 2012 event took place at Hopetoun House and was staged as a two day event. On day one Showpax operated shuttle services from eight points around Southern Scotland and staged returns to all points between 20.00hrs and 01.00hrs. On day two all delegates arrived by car and Showpax handled arrival, departure and stewarding of over 3000 cars in a field with only one exit/entrance and single track roadways. The entrance to this field was located off a single track lane and Showpax managed all traffic management issues effectively. In 2012 we also provided transport for the other Sky events in Leeds, Bristol and Birmingham. 2013 saw the event move to a one day format at the Royal Highland Centre, Edinburgh. This format meant a higher volume of vehicles for the day. Once again Showpax sucessfully devised & managed the traffic plan and supplied the shuttle coaches. Thank you for all your work on this year’s event, I really appreciate you and your team’s hard work to ensure the smooth running of the coaches and the car parking. You are all extremely professional and it is a huge weight off my mind knowing that it is all under control as it is such a large undertaking that if not done properly could cause a lot of problems and disgruntled guests. I would also like to say that you hire some great staff, in additional to the core members, I spoke to 2 girls who were extremely friendly and proactive (one was keeping an eye on someone littering) and Victoria was very chatty when she was placed in the RHC to direct pedestrians. It is good to have friendly staff at this point as it is the very first experience that our guests have of the event and their day out, so thank you. Every year Iceland Foods hold exciting Conferences and Events for their Store Managers and Senior Staff. Showpax provide a full transport programme for around 2000 people per year. Having received delegate postcodes, Showpax develops a transport plan within the parameters set by the client. Routes and timings are planned and coaches booked to ensure that all delegates arrive at the venue comfortably and punctually. Showpax operate a luggage system that sees every delegate’s bags placed in their rooms by the time they return from the conference to prepare the evening event, and transfers are arranged between the hotels and the venue. Showpax have undertaken this work since 2005 and look forward to continuing to do so in the future. Every year Game hold exciting Conferences and Events for their Store Managers and Senior Staff. Showpax provide a full transport programme for around 1200 people per year. Having received delegate postcodes, Showpax develops a transport plan within the parameters set by the client. Routes and timings are planned and coaches booked to ensure that all delegates arrive at the venue comfortably and punctually. Showpax operate a luggage system that sees every delegates bags placed in their rooms by the time they return from the conference to prepare the evening event, and transfers are arranged between the hotels and the venue. Showpax have undertaken this work since 2006 and look forward to continuing to do so in the future. 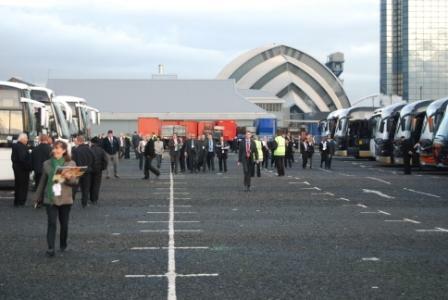 Over the last seven years Showpax have undertaken the transport programmes for McDonalds Managers Conferences held in Glasgow, Birmingham and London. Having devised routes and transport plans based on delegates home addresses, Showpax transport delegates to and from the conference, handle baggage transfers, and operate the necessary shuttle services between Hotel and Venue. Artiste transfers and VIP transfers also for part of the programme. Showpax provide on site management at all venues. 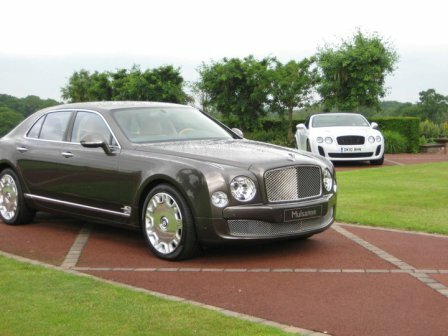 Over the last five years Showpax have handled transport arrangements on six Bentley conferences and meetings organised by Stagestruck. These events involve extensive airport transfers together with Meet and Greet programmes and hotel to venue transfers. The Inaugural One Young World Summit held at London’s Excel centre brought together six hundred 25 year old delegates from 112 countries to give the new generation a platform to voice their opinions and ideas. The 6 plenary sessions focused on various issues that face the world today. Here the delegates could network with each other and get their voices heard by influential figures. Among the high profile speakers were Bob Geldof, Kofi Anan, Archbishop Desmond Tutu, Professor Muhammad Yunus and Crown Prince Haakon of Norway. Brand Fuel provided the logistics and complete event production for the summit. The event attracted a lot of positive media attention. Showpax provided all passenger transport for the event, which amounted to 315 individual airport arrival transfers and 276 departure transfers. There were also 186 VIP transfers between hotels, venue and private addresses, together with 68 coach transfers between hotels and the venue and 35 Airport Shuttle coaches. In an ever changing transport programme, Showpax were able to plan initial requirements through project planning and team meetings with the client, and then adapt whilst on site to whatever situation arose. After providing transport services for JLR Global Conference at Castle Bromwich in 2011, Showpax were asked to provide services for the Range rover Press Release at Royal Ballet School in 2012. Showpax sourced and supplied 30 upmarket mini coaches, all silver in livery with minimal branding. These coaches undertook a total of over 130 transfers during the event. Showpax also provided Traffic Marshalling services at Richmond Park/Royal Ballet School in a challenging environment of single track roads, wildlife issues and minimal room at the venue to accommodate the high level of service required. During the 2012 Olympics Showpax provided and managed vehicles for Canon to host around 80 VIP delegates from around Europe. 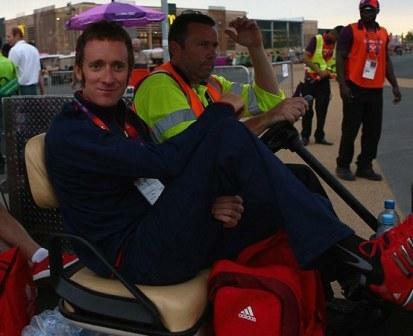 The programme included meeting and greeting at airports and transferring to a London Hotel, as well as transfers in and out of The Olympic Park. For many years Showpax have provided the coach service for the Helitech exhibition which is held every two years at Duxford Imperial Air Museum. We provide shuttle services from various hotels, stations and airports. 2010 saw the event take place in Cascais, Portugal, Showpax went with the event and successfully managed the operation. Case Studies &Testimonials for other events are available on request.